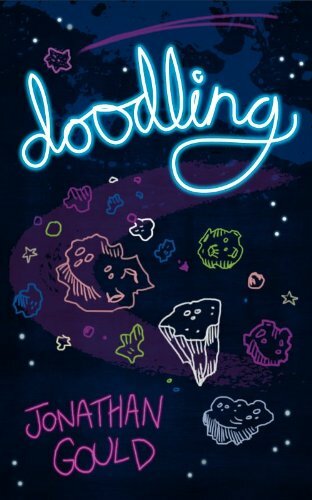 Today I have a guest post from Jonathan Gould, author of Doodling. 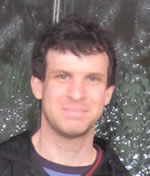 He has some interesting advice for writers who work full-time jobs. I would suggest following it at your own risk. I was chatting to a work colleague the other day about writing and the subject of my ebook came up (and I promise this is as close to a plug as I’m going to get). He was wondering about why I chose the title Doodling for my book and questioned me on whether the idea for the story came while I was attempting to make the time pass a bit more quickly during work meetings. In a number of ways, he was fairly close to the mark. I basically chose the title because of the random, stream-of-consciousness kind of way the story developed. However one area he was not correct about was the location – I definitely didn’t come up with the idea during any meetings at work. But this got me thinking, and the question I asked myself was, “Why not?” After all, as someone who works full-time and only writes part-time, I really should be taking every opportunity I can to optimise my writing opportunities. And let’s face it, we all know meetings are utterly wasted time as far as actually getting any work done goes. So why wasn’t I taking advantage of this wonderful opportunity? Why wasn’t I taking the time for some brain-space, in order to figure out my latest plot-twist or generate that new character I needed to move the story forward? Why wasn’t I, under the cover of taking detailed notes, doing that revision on chapter 3 to nut out that one paragraph I just couldn’t seem to get right? Well frankly, I have no idea, but I’m not going to make that mistake again. From now on, whenever someone puts a meeting into my schedule, a little bell is going to go off in my head that says, “Writing time!” I can’t wait. I’m so excited. Not only have I found a way to escape the mindless tedium that meetings induce. I’ve also found a way to massively increase my productivity as a writer. Who knows, I could get another two or three novels out by the end of the year. So this is my advice to the part-time writer and full-time worker. Don’t miss out on the wonderful opportunities that meetings present. Look forward to them. Encourage them. Make the effort to go out and organise a bunch of them yourself – any kind of excuse should do. And then just watch those words begin to flow.